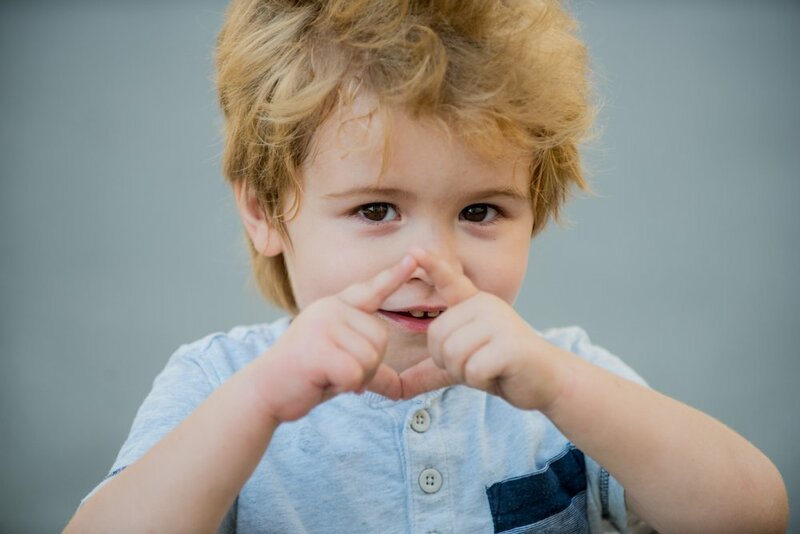 The American Academy of Pediatrics and the Mayo Clinic agree that teaching your baby sign language is a tool that can improve communication and make bonding time more enjoyable, especially during these months. You can start teaching your baby as early as you want, just keep in mind that he’s probably going to try to imitate the signs at around 9+ months of age. Here’s a list of recommended words to get you started with: airplane, baby, ball, bird, blanket, book, cat, cup, cold, daddy, diaper, dog, done, drink, eat, go, good night, happy, help, hot, hurt, I love you, milk, mommy, more, nap, no, outside, please, sit, sleep, star, thank you, up, water. You want to start with simple and everyday concepts that your little one is already familiar with; concepts that describe your routine. Try giving signs a context: meal time, bathing time, changing diaper time, going to bed, etc. Adding gestures to your favorite songs will also help expand your repertoire of activities with sign language. Reading time and picture books can also reinforce the concept that everything has a name and expose your child to more vocabulary and language comprehension. Whether you’re reading or talking to him, give him plenty of opportunities to join in. Ask questions and wait for a response. Paying attention to what he says will also help you identify the words he understands, the ones he wants to express, and the ones he has more trouble with. Don’t worry if your baby has trouble imitating the signs at first, with your patience and understanding he’ll get there. Be sure to keep talking to him; as long as signs don’t replace your verbal conversations it won’t get in the way of his development and he’ll learn to communicate with both words and gestures. Remember that teaching sign language is intended to ease the frustration and promote fun during bonding time; it’s not mandatory. It’s always good to share the signs you use with your family or the people that are close to your baby so that they can also help him express himself and promote his language development. Is baby sign language worthwhile?